During March’s dinner meeting questions circulated regarding software for publishing textbooks. Tech-oriented websites are abuzz with sorting out the question, which is better, e-books or printed books? Universities conduct research and publish papers regarding student use of online versus printed material, and whether reading via a digital medium has any negative effects on attributes such as comprehension, reading speed, and information recall. While there are still few published studies regarding digital versus printed reading, most research indicates benefits and drawbacks for each format, and preference seems to vary with the individual and lifestyle. Regardless of what the studies say, the facts are clear, e-readers are ubiquitous, e-books are faster and cheaper to publish than printed books, and sales for e-books are growing while sales for printed books have declined in recent years according to the Association of American Publishers. As individual technical communicators and a professional organization, it is important that we ask ourselves, are we prepared for this technological shift in reader accessibility? This post is an overview of e-readers, e-book publishing formats, and software that will enable the technical communicator to keep skills current in today’s market. Presentation of the traditionally printed form is now dynamic in the digital form giving readers options while reading (e.g., font size, background display, web browsing ability, etc.). Consideration for audience, environment, and usability are important secondary factors for technical communicators when developing digital books. Knowledge of e-readers is just as important to the technical communicator as the ability to write, edit, and publish in the desired format. Currently, e-readers fall into one of two categories: devices that use LCD screens (e.g., iPad, Kindle Fire, Nook Color, etc) and devices that use E Ink reflective screens (i.e., Kindle, Nook, Sony Reader, etc.). LCD screens are best for color display, and are preferred for electronic publishing of magazines, and books with photos and videos. LCD screens are backlit allowing for optimal readability indoors and are constantly refreshed, which can be straining on the eyes over long periods of time. E Ink screens, on the other hand, are best for reading books and are easier on the eyes due to the reflective screen that only refreshes when the page is turned. E Ink devices are easiest to read in bright light (including outdoors). Thus, it is important to think about one’s audience, where they will be reading, the content and layout of the book, and popularity of e-reading devices to digitally publish to the widest audience possible. Conjoined with audience and environment is individual usability so that each reader will be able to access and maximize all of the benefits available through their e-reader to make the most of your digital book. 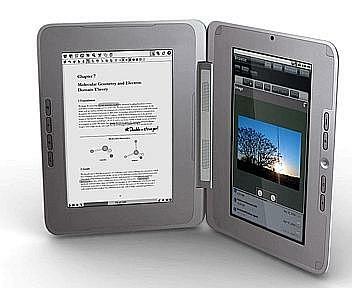 Standard publishing formats for e-books include PDF, EPUB, and Kindle. PDF is the leading publishing format for layout-specific content such as newspaper and magazine publications. EPUB is the most commonly used format for e-book publication (with the exception of e-books published for Kindle) due to its ability to generate reflowable content. Kindle is the required proprietary format for e-book publication to Amazon’s e-reader, Kindle. With three formats to navigate through, can one software tool save the day for the technical communicator? Unfortunately no, but some tools come close with the requirement for additional software to convert to the Kindle format. Adobe RoboHelp, Adobe InDesign, WebWorks ePublisher, and Help+Manual all have PDF and EPUB as standard output formats. MadCap Flare and Adobe Framemaker, while common tools of the technical writer, do not convert to EPUB (refer to Tech Whirl’s blog link below for a discussion on how to convert from Flare and Framemaker). Publication to Amazon’s Kindle can be achieved directly by using KindleGen to generate Kindle format e-books, or can be achieved in a two-step process by converting to the Kindle format through the use of EPUB tools. A free e-book conversion and management software known as calibre supports conversion from EPUB to Kindle format (and vice-versa). For more information on e-readers, e-book formats, and tools, refer to Tech Whirl’s 3 part blog post on e-books by Keith Soltys. For information on e-book publication using RoboHelp, refer to Neil Perlin’s article, “Creating ebooks using RoboHelp 9”. For information on e-book conversion for Kindle and EPUB, refer to Paul Brookes’ blog, “eBook Conversion”. For information on the EPUB standard, refer to International Digital Publishing Forum (IDPF). For information on Apple’s textbook publishing tool, refer to iBooks Author. Great article! Thanks for posting Resources!